Well here is the start of MLB Spring Training. Believe me it is going to start getting warmer soon andwe will see MLB baseball in another week. Today, marks the start of the college baseball season, so it won’t be long before our players will start arriving to get ready for our 2019 Season. I must first thank Paul Galop, our Commissioner for the last 15 years for his service to the league and making us better and stronger. Paul will not be a stranger around the fields this summer. Please thank him for all he has done. I also welcome, Eric Zmuda who I have known for quite some time. Eric was the GM in Falmouth which is a position I held for over 20 years. I and the rest of the board pledge our full support in tackling this very difficult and important position. If any of our fans reading this want to get involved, please contact your local team. 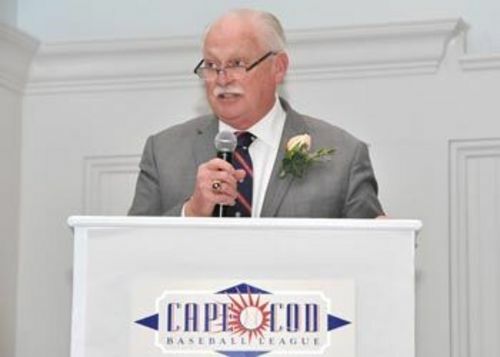 Go to our website Capecodbaseball.org to get your teams contact information. All ten teams are always looking for volunteers to work the games and most important, HOST FAMILIES. Without our host families we would not be able to have this great league continue. If you have an extra bed or know a family that would love to house a player, please contact your team. Hosting a player is a very rewarding opportunity for your family. You will develop a relationship that will last a life time. We are also looking for sponsors. It costs over $2.5M per year to put on this league and so all the financial support you can give is greatly appreciated. Other than the coaches, all the teams and league are run by volunteers. Lets’ hope the snow clears soon and we can start seeing local baseball being played on our fields and before you know it June 10th will arrive and we will hear the call “PLAY BALL”.